As the sixth book in the Blessings series opened, I wondered if Beverly Jenkins would still be able to draw readers into the imaginary town of Henry-Adams, Kansas in For Your Love. I shouldn't have wondered because Beverly Jenkins is a master at what she does. As always, she combines historical fiction with modern times, entertaining readers while teaching them. 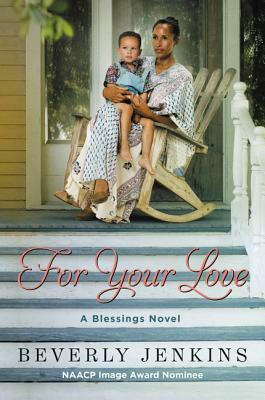 For Your Love focuses on returning characters like Trent July, the mayor of Henry-Adams, and his wife Lily, as well as the town owner, Bernadine Brown. Jenkins also introduces us to a few new characters, including Trent's mother and a family of newcomers. Friends of Crystal's from her previous life, Bobby and Kelly are a young family she knows from her days on the streets in Dallas. A former gang member and the product of a foster home, Bobby trusts no one except for Kelly. When Crystal offers the young couple and their twins a chance to leave the hard knock life of Dallas and move to Kansas, they're hesitant. I absolutely loved watching Bobby mature as Trent and the other men in town mentored him in various ways. The people of Henry-Adams show time and time again what community looks like. Watching some of the women's reactions to Rita Lynn return to the small town is interesting. It gives us a glimpse into what Henry-Adams looked like over forty years ago. Grudges and mistrust from decades ago kick up their ugly heads, but Jenkins likes a happy ending, so you already know everything will work out before the book ends. 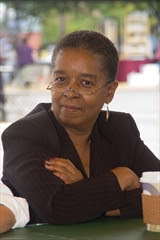 Beverly Jenkins is the author of thirty historical and contemporary novels, including five previous books in her beloved Blessings series. She has been featured in many national publications, including the Wall Street Journal, People, the Dallas Morning News,Vibe, and many other publications.